Pulsatilla vulgaris Rose Bells joining the spring parade. Also known as Pasque flower. Love the hairy buds and leaves. So much Pollen. Camera phone photo. 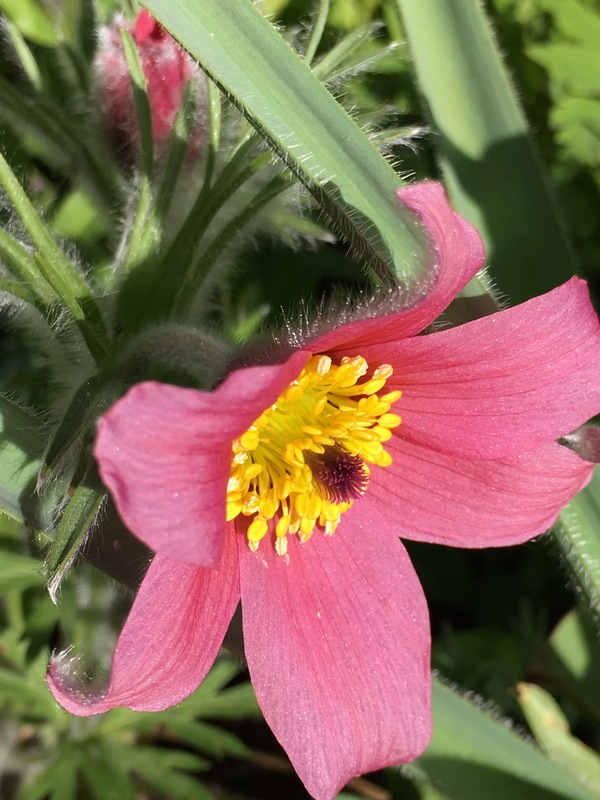 although a toxic plant, it (pulsatilla) is a good homeopathy medicine. It’s a gorgeous colour too!